This clear and fresh smelling essential oil is a great boon to use during times of major upheavals and changes in your life, as it restores calm, sooths anger and making your life flow better. It has a positive effect on excess fluids in general, thereby improving circulation, sorting out coughs and bronchitis. It assists with varicose veins and female problems and is definitely an oil to have around. Cypress oil has a woody, slightly spicy and refreshing masculine smell. The oil is colorless to very pale yellow in color and watery in viscosity. The tree is a perennial tree, conical-shaped, about 28 meters (80 feet) high and originated from the East, now mostly found in gardens and cemeteries in the Mediterranean region. It is an evergreen tree with dark green foliage, small flowers and round brown-gray cones with seed nuts inside. The wood is hard and durable, red-yellow in color. The Phoenicians and Cretans used the wood for building ships and houses, while the Egyptians made sarcophagi from it and the Greeks used it to carve statues of their gods. The Greek word 'Sempervirens', from which the botanical name is derived, means 'lives forever' and the tree also gave its name to the island of Cypress, where it used to be worshipped. The legend says the cross of Jesus had been made of cypress wood and the tree generally seems to be associated with death. Cypress oil is extracted from the needles and twigs of young branches by steam distillation and yields 1.3 - 1.5 %. The therapeutic properties of cypress oil are astringent, antiseptic, antispasmodic, deodorant, diuretic, haemostatic, hepatic, styptic, sudorific, vasoconstrictor, respiratory tonic and sedative. 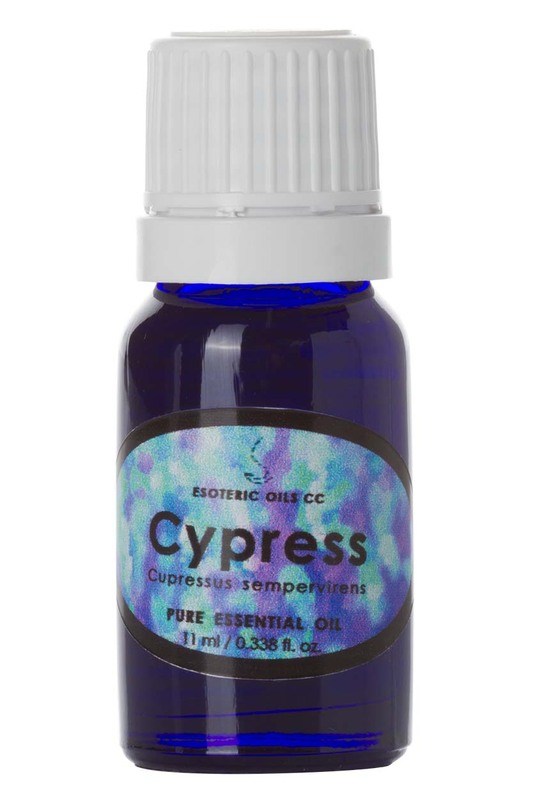 Cypress oil has a calming and soothing effect on the irritable, angry and stressed-out person and has a valuable effect as a vasoconstrictor on varicose veins and hemorrhoids. It is beneficial in conditions of excess fluid, such as bleeding, nosebleeds, heavy menstruation, heavy perspiration, cough and bronchitis, hemorrhages and fluid retention. The antispasmodic action is very useful for asthma, whooping cough, bronchitis, emphysema and influenza. Furthermore, cypress oil soothes muscular cramps, helps to regulate the menstrual cycle, helps to ease arthritis and rheumatic pain and it is also beneficial to oily as well as congested skin and wounds. Cypress oil can be used as a massage oil or diluted in the bath for arthritis, asthma, cellulite, cramps, diarrhea, sweaty feet, rheumatism, varicose veins, heavy menstruation and menopause. In a cream base, cypress oil can be used for varicose and broken veins, as well as clearing an oily and congested skin. 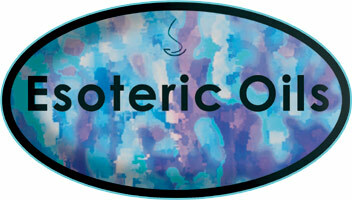 If it is added to a footbath, it will help control perspiration with it astringent and deodorant properties. Although most essential oils blend well together, cypress oil blends particularly well with bergamot, clary sage, lavender, juniper, pine, marjoram, sandalwood, Rosemary, Frankincense and all the citrus oils.